Bangkok (16 September 2015) – SHOW DC Corp Ltd., today, announced it will open Thailand’s first retail and entertainment mega-complex in June 2016 with a total investment of Bht 9,500 million and aims to attract 100,000 visitors a day. The landmark development will bring to Thailand the novel ‘Shop & Enjoy’ retail concept that combines spectacular entertainment facilities with a rich mix of retailing and food & beverage. Located on 27 rai off Rama IX road, the project has a massive 150,000 square metre gross floor area and also includes the world’s largest ‘K-Town’ outside of Korea. 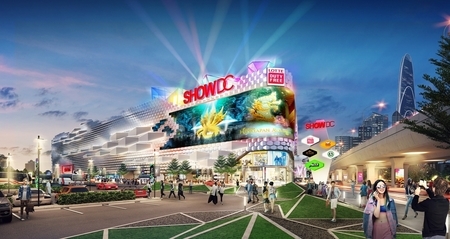 ‘SHOW DC’, Thailand’s first retail and entertainment mega-complex with the novel retail concept the novel ‘Shop & Enjoy’. He said that 60% of the lettable space at SHOW DC has already been leased and includes among its anchor tenants YG Entertainment – one of Korea’s top star-maker entertainment companies which is behind global K-Pop sensations such as BIGBANG, Psy, and 2NE1. YG Entertainment will also operate a 5,000 square metre rooftop K-Pop culture and entertainment park with hip bars and clubs for fun and relaxation. “As part of our emphasis on presenting the richness of Asia, SHOW DC has an expansive 10,000 square metre Asian Food Street that is dedicated exclusively to restaurants. Next to that, inside the K-Town will be large areas devoted to Korean fashion (K-Fashion), Thailand’s most extensive offering of Korean beauty products and services (K-Beauty), as well as celebrity food and beverage outlets, such as Psy’s ‘Psy Ramen’, and ‘After Rain’, inspired by global K-Pop sensation ‘Rain’,” Mr. Chayaditt said. She said that visitors to Thailand are expected to reach 37 million people a year in the next five years, and that the creation of landmark lifestyle destinations such as SHOW DC are an essential service to ensure convenience for so many visitors as well as to reduce the strain on Thailand’s traditional tourist sites which are rapidly becoming overburdened with visitors. “By giving international visitors a one-stop destination where they can get much of their shopping done conveniently we reduce time-on-the-road for them and traffic congestion for Bangkok citizens, in addition to giving international visitors the comfort of standardized pricing and reliable quality. At the same time, we are able to ensure that the cultural offerings provided at SHOW DC, such as the Thai cultural shows, are the most authentic and of the highest standards, staying true to our national heritage,” said Ms. Praparwarn. One of SHOW DC’s special facilities for international visitors is a large VIP Traveller Lounge where visitors can spend time on their last day after they check-out from their hotels. “They can leave their bags, take a shower, or rest after checking-out from their hotel and prior to a night flight. In addition, travellers can use SHOW DC’s complimentary shuttle transport services to Bangkok’s airports,” Ms. Praparwarn said. 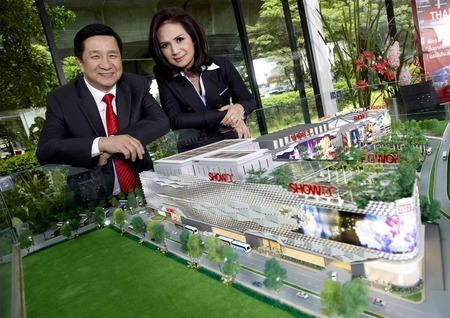 Mr. Chayaditt Hutanuwatra, Chairman of SHOW DC Corp Ltd., Ms. Praparwarn Waeladeevong, Vice Chairperson of SHOW DC Corp Ltd today, announced it will open Thailand’s first retail and entertainment mega-complex. 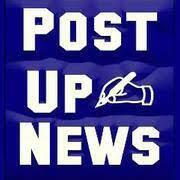 The landmark development will bring to Thailand the novel ‘Shop & Enjoy’ retail concept. SHOW DC, located on Jaturathit road, is easily accessible by multiple road and rail transport systems being close to the Makkasan station of the Airport Rail Link, the MRT’s Phetchaburi and Rama IX stations, as well as near the Si Rat Expressway’s Rama IX exit and Asoke 1 entry. 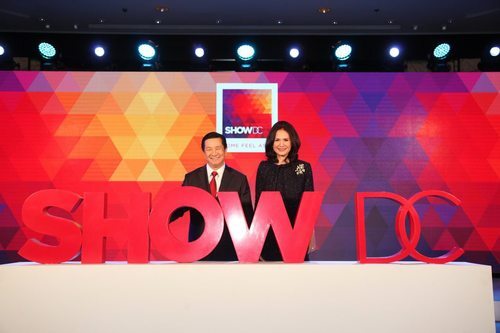 He added that because SHOW DC is a major new landmark in ASEAN it will help boost Thailand’s position as the shopping and entertainment capital of the ASEAN Economic Community.